MyJrny is an Intelligent Mobility research and development programme that responds to the need for better-integrated transport systems in order to serve growing populations. The programme comprises multiple stakeholders, including Chiltern Railways (part of Arriva UK Trains), Transport for London, Transport for West Midlands and technology developer, Enable International. The Smart-train passenger counting and real-time information system, co-funded by RSSB, was the first of four Department for Transport backed initiatives within the MyJrny programme. 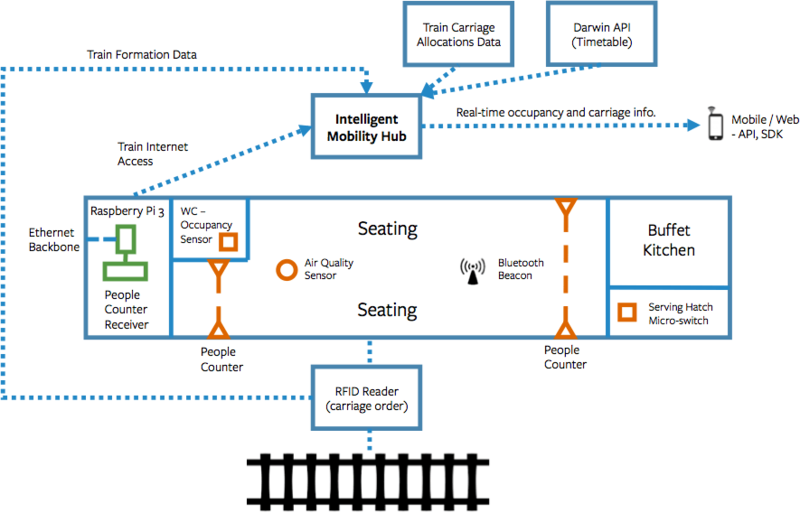 The over-arching technical approach for the Smart-train system was to create a combined source of real-time carriage status information, which could be integrated with 3rd party systems via an Application Programming Interface (API). The following diagram show the technical architecture, based on MK3 Slivertrain buffet car. Operators can use the API to integrate with and exchange data between on-board sensors, resource planning and customer relationship management tools, websites and mobile apps. ‘API keys’ ensure that devices accessing the system are securely authenticated. 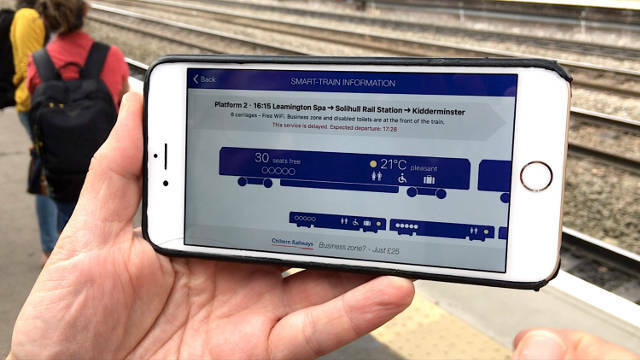 94% of respondents accessed Smart-train information whist on the platform or on the train. They were a balanced mix of business and leisure passengers. 86% of respondents said access to seat availability information influenced which carriage or train they boarded, and 60% said the same when asked about the addition of temperature information. The Smart-train system is now available for wider commercial adoption, alongside a range of adaptable passenger counting technologies.